Flowering Tube Barnacle Vase... 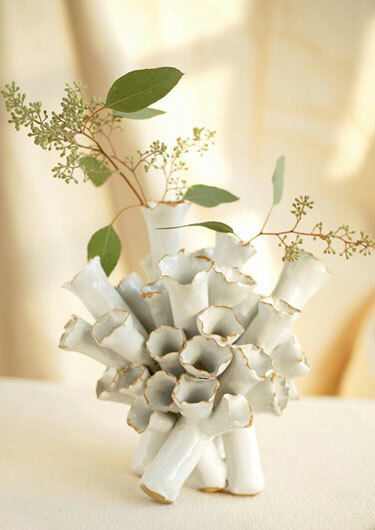 Nature serves wonderfully as an inspiration for this Flowering Tube Barnacle Vase. As in the sea, these formations are created one by one. The ceramicist places each tube precisely on the base & builds the tower. Once fired, each Flowering Tube Barnacle Vase continues to evolve, & in the end a unique sculpture is created. Flowering Tube Barnacle Vase by Tozai Home. Size: 8" x 8 1/2" x 9 1/2"h.